I’m not the only one getting caught in-between. 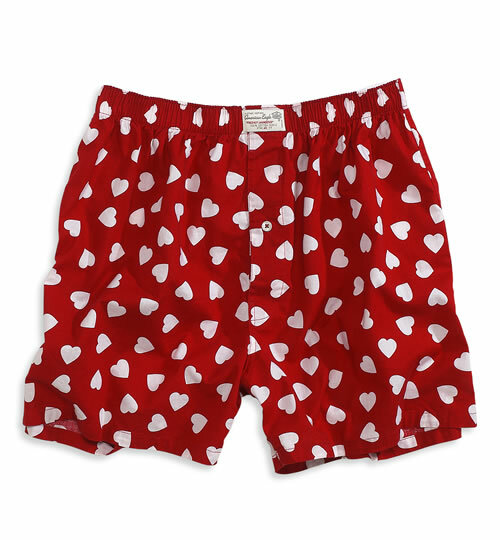 Boxer shorts with hearts on them do too. I talk a lot about in-betweeness. What it feels like living culturally and linguistically in a perpetual state of not really quite here, nor really quite there, but also very much both here and there. It’s a little messed up, but it’s the life of an ex-pat, a convert with a bohemian soul and now a divorcee. And I’ve come to accept it like this. Although you’d think the D-status (divorce) would bring a finalized “now you’re over here in this camp and he/they are over there in the other camp” kind of situation, it doesn’t. The fact that my ex and I share three children that we are committed to co-parent in a positive, co-operative spirit, makes the dividing lines of “me and him/them” (he is remarried) more blurred. Today for instance, it was not my in-betweeness I was noticing, but the stuff that sometimes get caught in-between the two camps. Like underwear, t-shirts, socks and various minor parent paraphernalia. So, necessarily, since the boys spend half their time at my place and the other half at their dad’s, clothes and dirty laundry end up here, there and in-between. My laundry basket is one such place of twilight zone. I can’t tell you how many times I have found my ex’s undies there, and when I unwittingly go to sort or fold or move a load from washer to dryer, I handle his now new and shiny, heart-clad intimate wear bestowed upon him by his new bride. Oh, joy. Of course, on their raids at 6.30am, the boys don’t pick the shredded, thread bare boxers from their dad’s drawers that I once knew. They pick the Hilfiger, Lauren, fancy-schmanzy, lovey-dovey stuff. Apparently, the boys have an agenda, too, now. One of my favorite laundry discoveries was a skimpy singlet shirt more akin to the ladies’ camisole with some glittery writing on it that must have mistakenly ended up in a pile of clothes grabbed by one of the boys on the go. That’s right, there I am I’m in my new apartment, newly divorced, a block from my old home where the ex lives, folding what can only be the skimpy, glittery camisole of my ex-husbands new woman. Did I already say “oh joy”? There’s always stuff that gets stuck in-between. That’s because life just isn’t this neatly delineated chapter book, but rather a porous, shifting and unexpected mess. What used to bother me of this stuff caught in-between, has just become another thing to kindly sort and put in the “bring back over there” pile. And then occasionally I do think about the possibility of the itty bitty top having been left behind by one of my sons girlfriends, which would explain his choice to snag dad’s lover boy undies rather than the tidy whities. Oy. Three sons floating in-between boyhood and manhood. Now here’s an in-between to really get existential about. This entry was posted in Essays & reflections and tagged boxers, divorce, in-between, lost laundry, socks, sons, teenagers, underwear by The Viking Jewess. Bookmark the permalink. You nailed it! I know that In-between-ness that you so eloquently describe. whew. Nina, I loved this! Thanks for your message and the ‘follow’. It’s great to find another in-between soul. These in-between areas are messy indeed. I loved how you wrote that it’s a ‘porous, shifting and unexpected mess’. For someone who loves organization, boundaries, labels and such, these messes can drive me crazy. But perhaps this is what my soul needs to grow right? Thanks again for a lovely read!